What is a Career and Technical Student Organization? Career and Technical Student Organizations, commonly referred to as CTSOs, are organizations designed to support students in career and technical education (CTE) programs. Rigorous academic content tied to technical subject matter, as well as internships and other cooperative work experiences, are hallmarks of CTE programs. CTSOs are considered an integral part of CTE; they help students develop the technical and leadership skills that will enable them to succeed in their career paths. CTSOs are co-curricular; this means they are integrated into the classroom and the CTE program of study. What CTSOs does the MFSO recognize and serve? The mission of DECA and Collegiate DECA is to enhance the education of all students with interests in marketing, management or entrepreneurship. DECA assists students in developing skills and competencies for marketing careers, while building self-esteem, experiencing leadership, and providing community services. The FFA Organization is dedicated to making a positive difference in the lives of students by developing their potential for premier leadership, personal growth and career success through agricultural education. The FFA award and degree programs recognizes students for excellence in academics, career development, leadership and community service. The mission of Health Occupation Students of America (HOSA) is to enhance the delivery of compassionate, quality health care by providing opportunities for knowledge, skill and leadership development of all health science technology education students, therefore, helping students to meet the needs of the health care community. SkillsUSA is a partnership of students, teachers and industry working together to ensure America has a skilled workforce. SkillsUSA helps each student excel. SkillsUSA's mission is to empower its members to become world-class workers, leaders and responsible American citizens. Bill Neiss is currently the Program Director and Instructor for the Opportunities in Emergency Health Care (OEC) Program at Spring Lake Park High School. Bill is known for going that extra mile with his students; and it shows! His students have won numerous state, national, and international EMS competitions, including HOSA International Leadership Conference EMT Champions in 2016 and 2017! 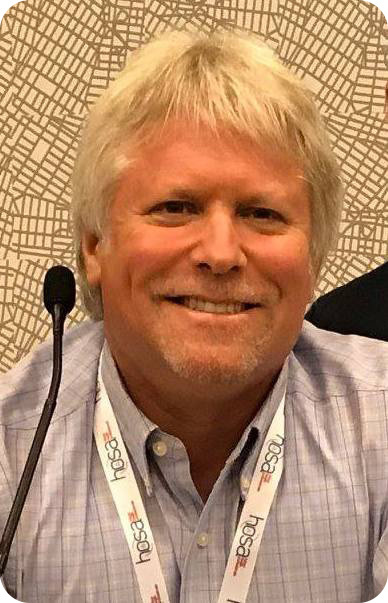 Bill’s dedication doesn’t stop in the classroom- he has been a HOSA board member since 2003 also has also volunteered with the International Rescue and Emergency Care Association (IRECA) serving as their President. Bill has taught first aid/CPR, Emergency Medical Responder, Emergency Medical Technician, and Self Defense for Women to literally thousands of students and given presentations at a variety of levels; community, school, state and national venues. Thank you for all you do Bill!